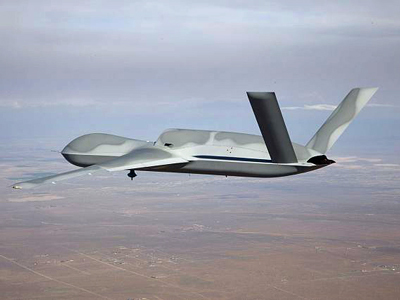 The Air Force just bought itself the next generation "hunter-killer" drone, and at nearly 16,000 pounds and 44 feet long the Avenger is now the largest UAV in the U.S. arsenal. William Hennigan of the LA Times reports the $15 million drone is one of the models in consideration to replace the aging Predators and Reapers in use for the past several years. The new drone won't be able to fly as long as the Reaper, 20 hours compared the the Reaper's 30, but it will reach a top speed of 460 mph, more than 120 mph faster than its predecessor.